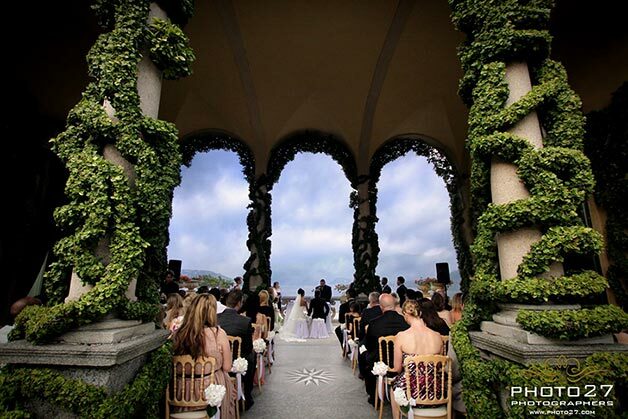 After some years of experience as wedding planner on Lake Como, I would like to tell you a little more about Bellagio Town. This is because many couples ask me about this lovely village as a potential wedding destination. 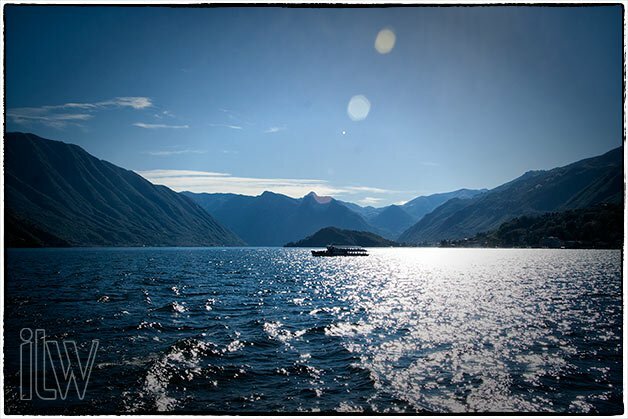 ellagio is also called the Pearl of the Lake, its classy hotels and restaurants provide the perfect place to soak up the lake famous panorama. 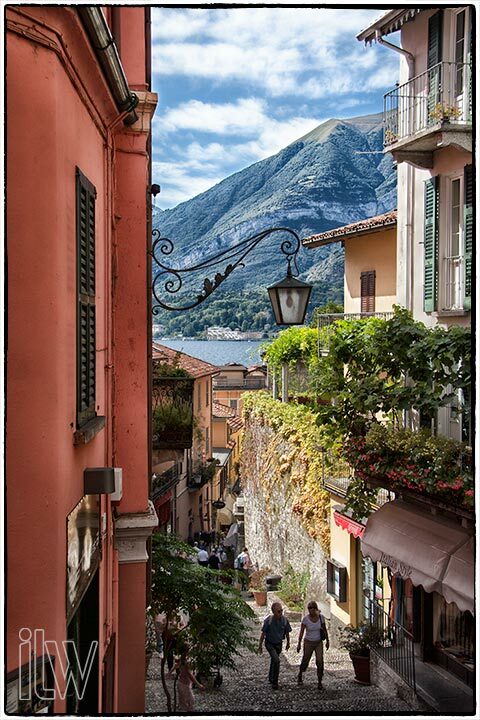 Bellagio ancient buildings, stone lanes and picturesque cobbled stairways filled with shops showcasing the finest Italian wares, could be the perfect location to accommodate your guests. 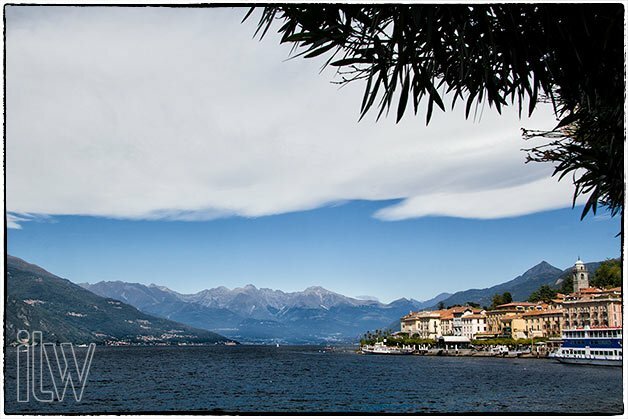 The 22 suburbs scattered over the wide area of Bellagio goes from the lakeside to the top of Mt. San Primo. All are part of Bellagio. Borgo is the village historic centre and it was one of the first area in Bellagio to be inhabited. Bellagio is for sure one of the best area for your and your guests’ accommodation. There are hotels and residences for all budgets, a wide choice of bars, restaurants, wine shops and so many things to do in the area! oncerts, shows, painting exhibitions, movie, culinary from June to September. 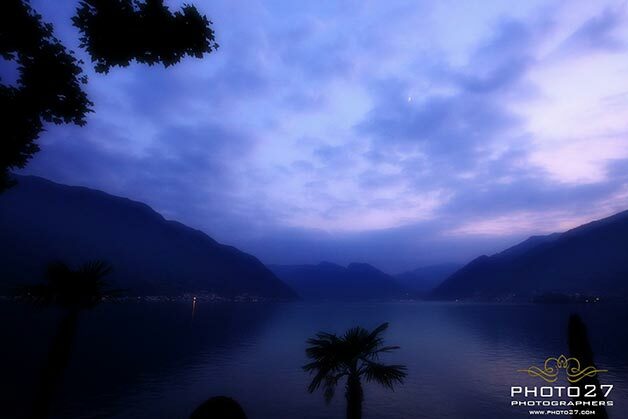 More than 60 events in Bellagio and in close by 30 villages along the lake. I suggested to stay in Bellagio to Cynthia and Anthony, who came here with their guests from US, UK and many other countries all over the world! 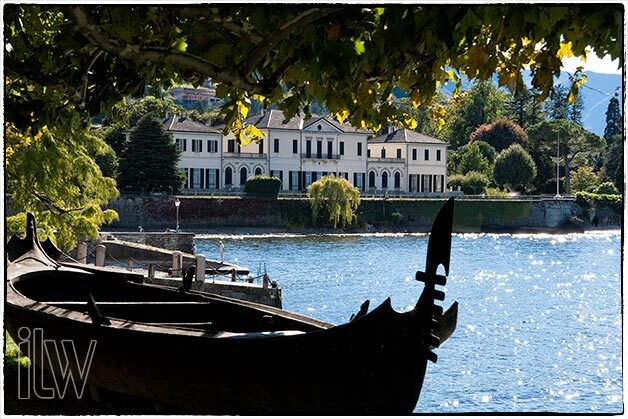 Guests chose their accommodation in Bellagio selecting among many different options with different budget prooposals, from luxury hotels to panoramic and charming bed and breakfast. Thanks to its central position, you can plan in Bellagio many activities for you and your guests! Do you remember Elannie and Peter’s wedding? 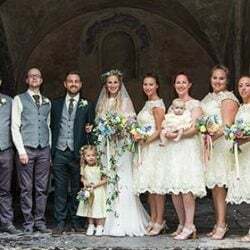 Elannie’s hen party on Lake Como was planned in Bellagio. 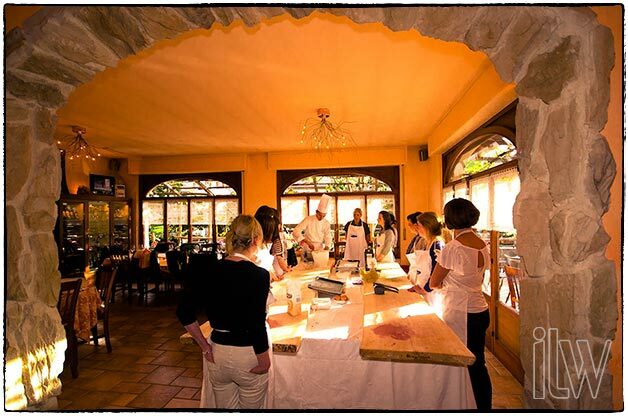 We suggested and planned a cooking lesson with local chef. 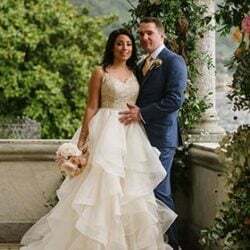 Cooking lessons with famous local chef, wine tasting with credited sommelier, gourmand dinners, water sports, cultural excursions are only some of the option for all the couple choosing Lake Como for their destination wedding! Cynthia and Anthony decided to welcome their guests with a relaxing and laid-back cocktail at the Beach Club in Bellagio where dancing is allowed until 4am! he whole wedding party who came for Cynthia and Anthony’s wedding stayed all in Bellagio. 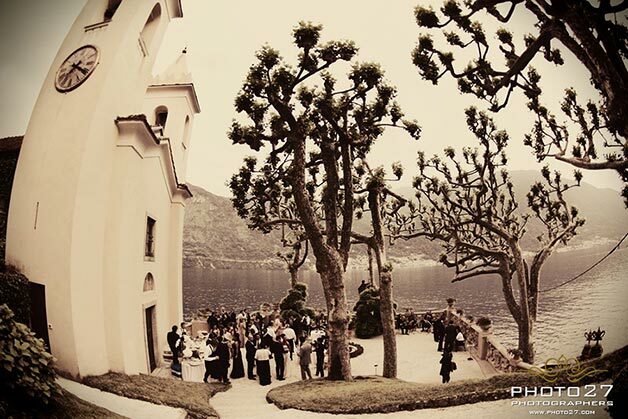 But, the wedding party was planned at Villa del Balbianello, one of the most charming wedding venues of Lake Como. 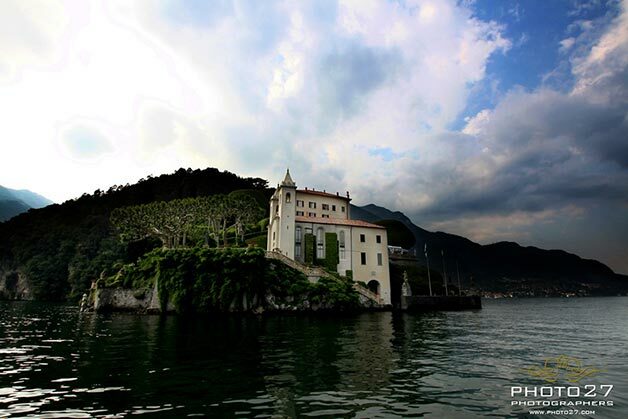 Villa del Balbianello is located in one of the most picturesque places of the peninsula called Dosso of Lavedo, a green promontory jutting out of the coastline. There is a sign saying Fay ce que voudras (Do what you want) engraved in portico. Guests climbed up to the villa by some steps overlooking the lake. 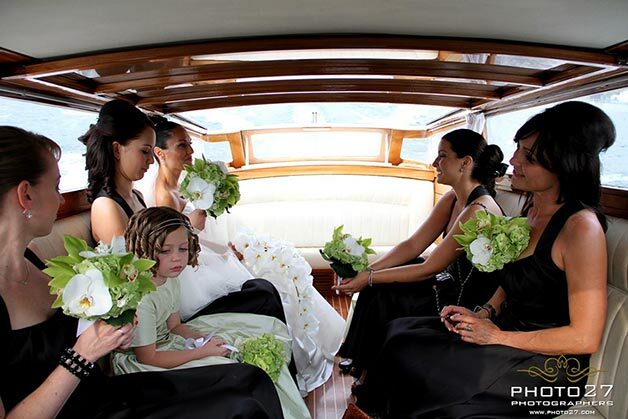 The arrival of the wedding guests and bridal party by taxi boats is something that makes the experience of a Balbianello wedding even more unique and unforgettable. verything was just stunning! 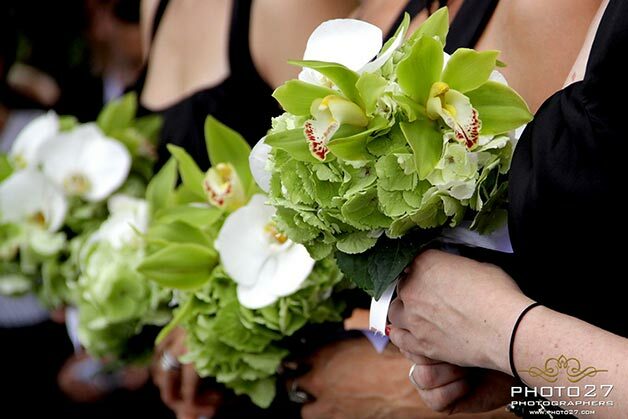 Bridesmaids’ black dresses, elegant bride, amazing and rich flowers – white orchids for the bridal bouquet and green flowers for the bridesmaids. 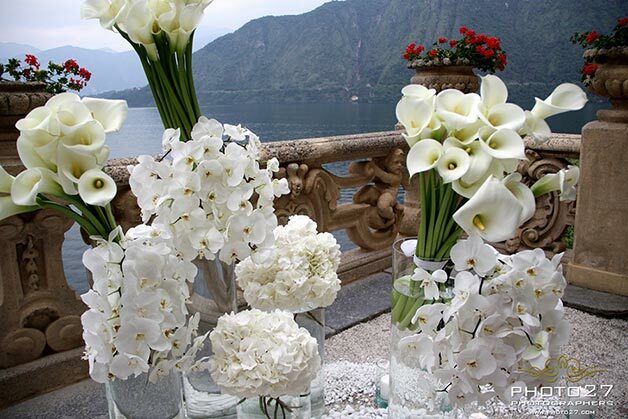 We can’t forget about classy floral arrangements for the ceremony enriching enchanting Loggia of Villa del Balbianello. 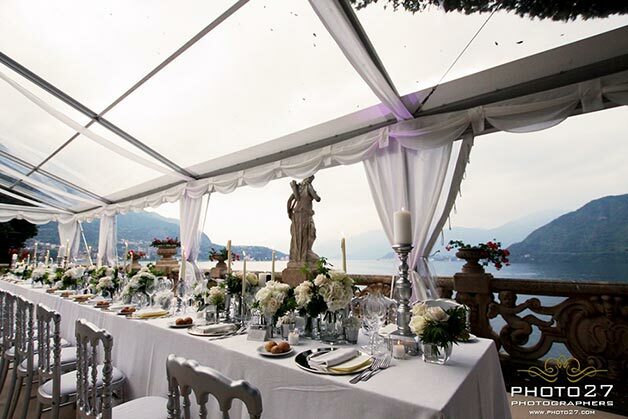 Cynthia and Anthony chose the Loggia of Villa del Balbianello to celebrate their wedding ceremony. Stunning Loggia crowns the main building from the highest point of promontory. 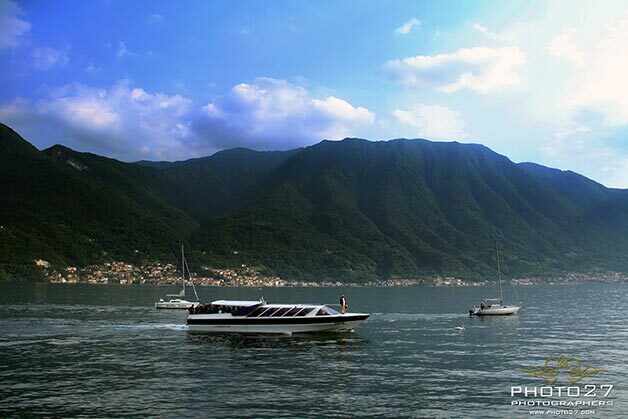 From here you can enjoy two different panoramas of the Lake on wild Gulf of Diana, towards Balbianello and Comacina Island and on the other side Gulf of Venus at its most celebrated point: Tremezzina – the waters between Tremezzo and Bellagio. This was considered one of the must-seen destinations at he turn of the century, not only by the Milanese aristocracy, but also by the more cultured European gentry. We can understand why!! 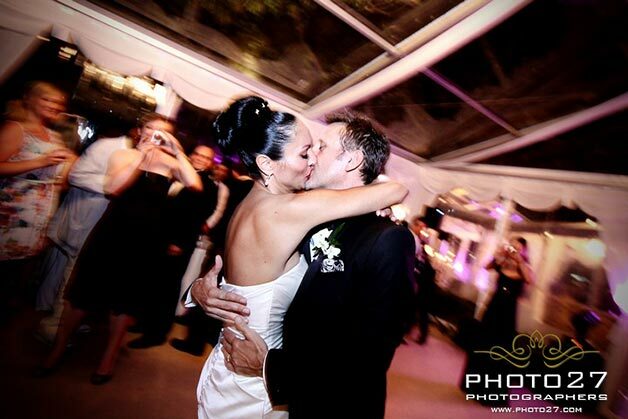 Cynthia, Anthony their guests had the chance to enjoy Villa del Balbianello at its best! 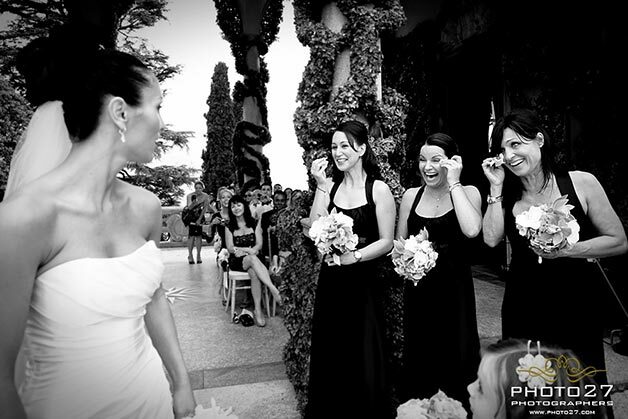 A special thank to Diego and Estella of Photo27: they are always able to catch every single emotion in magic wedding photo! ynthia and Anthony had their wedding cocktail on the so called ‘Terrace of the fountain’. 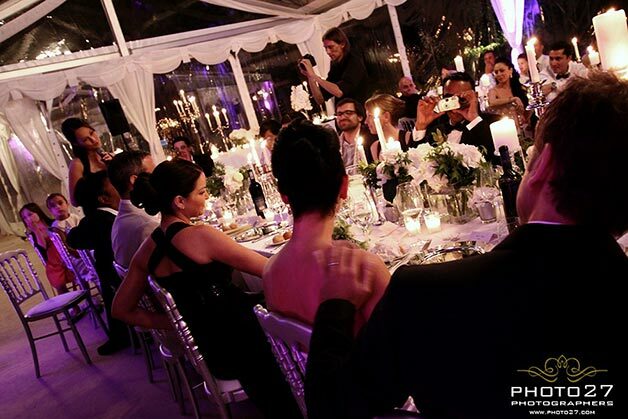 It is located just by the dinner area and could be very logistically easy for the guests to reach, especially for the ladies in high heels shoes! 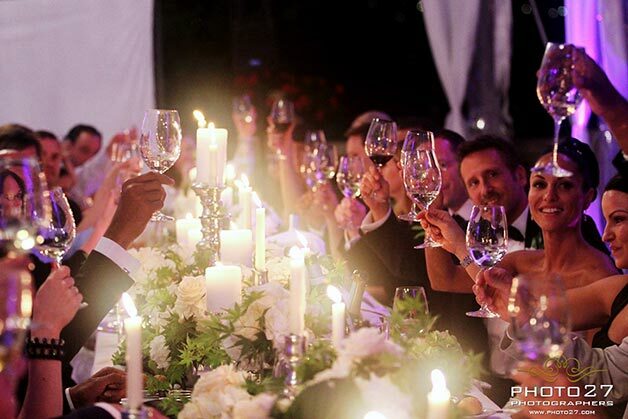 Wedding cocktail at Villa del Balbianello is for sure one of the best moment in this spectacular venue! 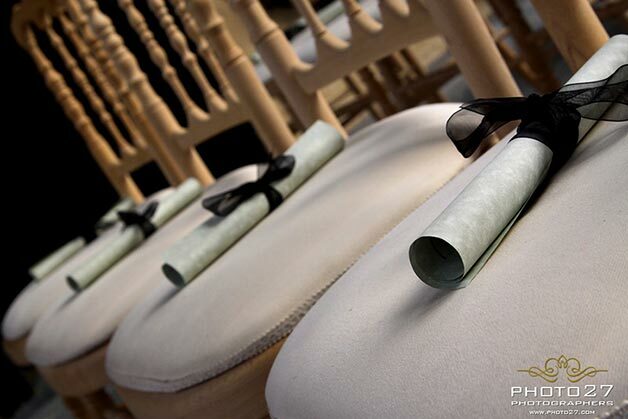 On purpose, have a look at our blog called Must – Take Wedding Photos! 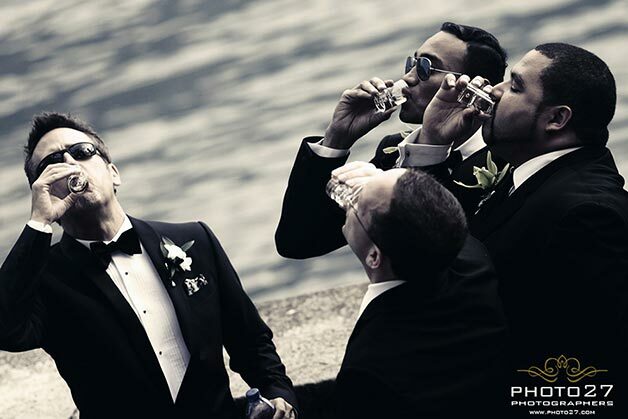 It is a relaxing, and mingling moment, just perfect for wedding photos. And at last but not least, the wedding cocktail at Balbianello it’s also a good moment to taste a wonderful Italian aperitif! 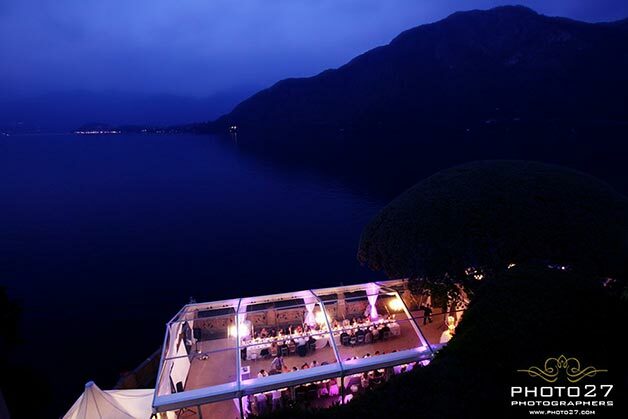 or groups over 70 guests, the most suitable area for a wedding dinner at Villa del Balbianello, is the main terrace called the Magnolia Terrace, overlooking the lake. I have to underline the use Magnolia Terrace in Villa del Balbianello has a special policy. 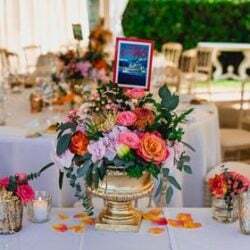 First of all we’d need to set – up of a large marquee and a wooden floor to protect the property and the gardens, which have a greatness of value. This is mandatory. A roof – covered corridor, connects the two parts. 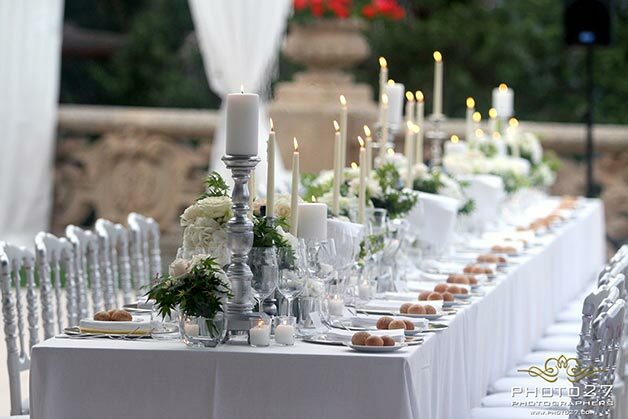 In order to create a very special atmosphere I suggested to set up two long tables instead of round ones. 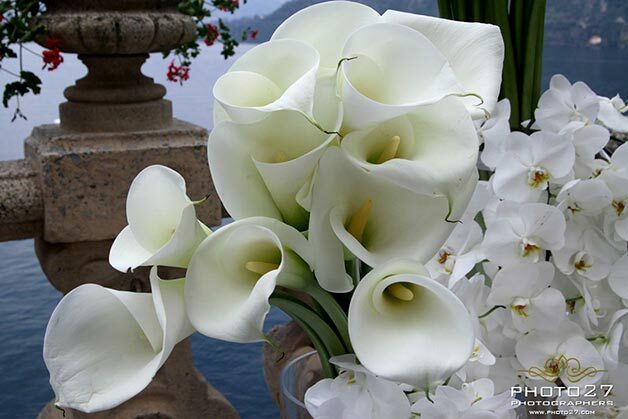 This is a little trick to obtain the maximum result and a stunning highlight for floral arrangements. 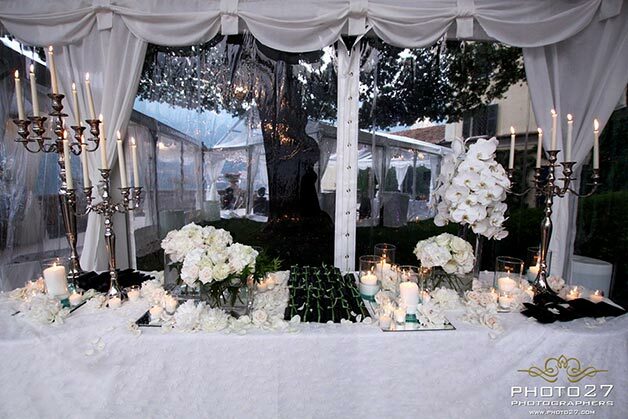 Lot of candles, roses and hydrangea flowers, silver chairs, under plates, cutlery did the rest! he choice of the wedding cake involves so many features! You may need to choose, flavor, shape and of course the right atmosphere. For Cynthia and Anthony I suggested a obvious but original idea! 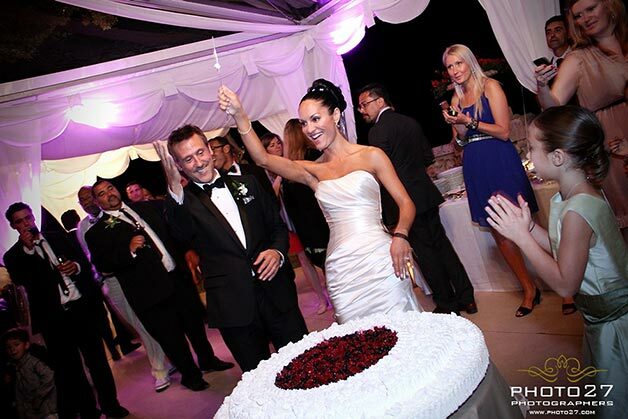 A classic Italian wedding cake! Cynthia and Anthony, chose a meringuette and red fruits one, but there are other suggestion: a sponge cake with Chantilly cream and strawberries or a millefoglie Chantilly and raspberries could be gourmand experience! Just try them, you will be amazed! ancing time to Villa del Balbianello is allowed up to 2am. This is such a privilege! 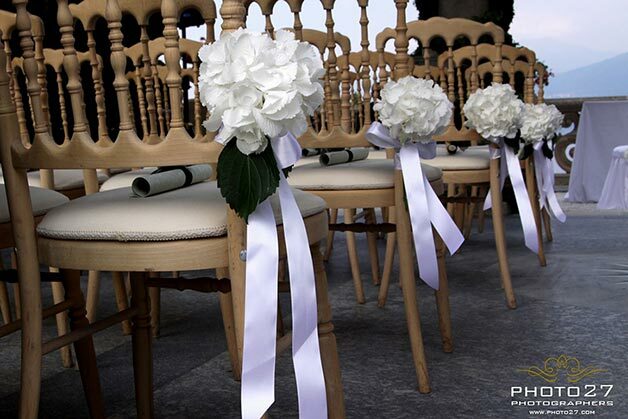 Many wedding venues on Lake Como have music restrictions due to the Italian and local laws. But at Villa del Balbianello you could go over this limit. Thanks to its located on a promontory of a peninsula you could take advantage of its splendid isolation. 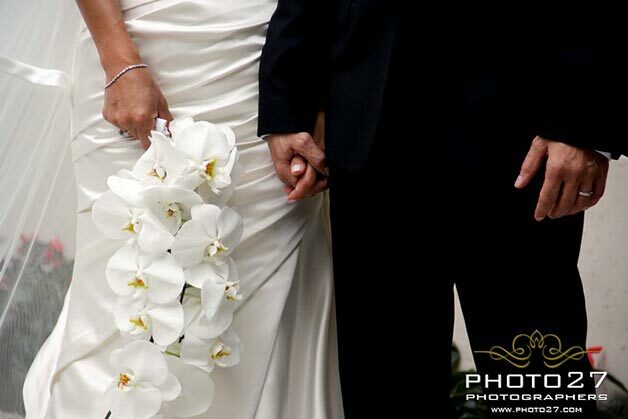 I hope you enjoyed my post and Cynthia and Anthony’s wedding as I did it while planning it for them! 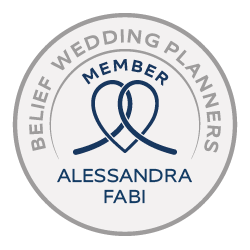 If you would like to receive more information ideas or suggestions for your wedding at Villa del Balbianello, please do not hesitate to CONTACT ME. 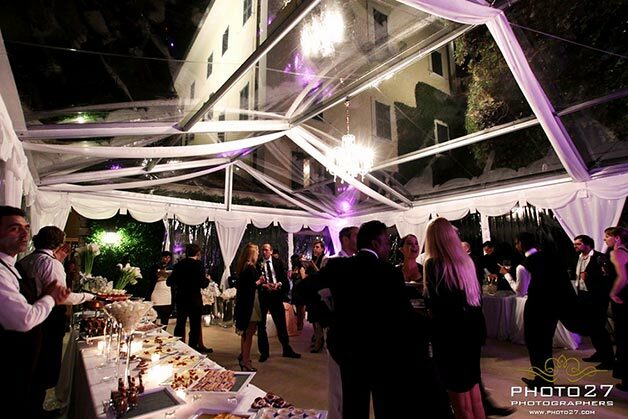 I will be pleased to show you the beautiful secrets of this stunning venue on Lake Como. 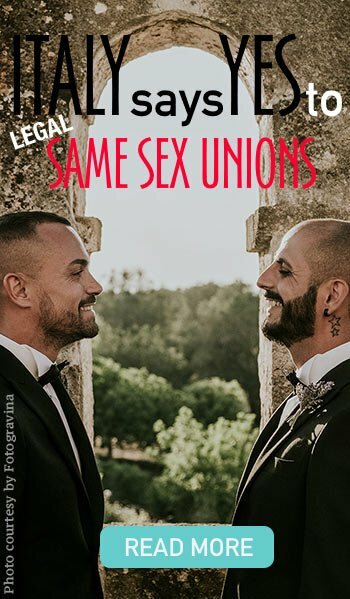 ← What we missed so far… June Just Married couples!